Today I thought I would do the Fall Spice Tag. I will continue to try a blog frequently this fall and winter. So look forward to a blog-post everyday or weekly. Hope you enjoy and don't forget to check out my other posts. 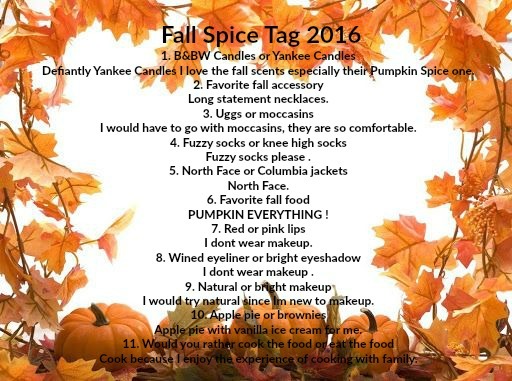 Comment your Fall Spice Tag below.